California Pools has and always will be committed to providing the greatest value product possible to our clients. This comes in the way of products, customer service, quality construction and warranty. Our number one goal is a happy customer now, tomorrow and far into the future. We don’t view a pool as a just a pool, but rather a lifestyle. We realize that the pools we build for our customers become an extension of a house and living area. Where it’s a family BBQ, child birthday party or a quiet morning reading the paper, our backyards are beautiful places to spend quality time. Hey, we live in a state we were enjoy the sunshine an average 350 days a year and there’s no better place to enjoy it than the comfort of your own backyard retreat. This spring we are offering many innovative products that will enhance this quality time for you. These products have tremendous added value and savings to you now and far into the future. One of these products is Artistic Stone decking. We partnered up with Artistic Stone a number of years ago and see the product as one of great value to our customers. There are many benefits to Artistic Stone paver stone decking. The product is beautiful and has a number of colors and style selections. This allows you to be able to incorporate the product into any design concept whether it be formal, traditional, natural, lagoon or contemporary. The leading edge of the pools is a bull nose coping that is more comfortable to lean and sit against. My children find the coping piece easier to grab and hold onto when they are playing in the pool. The pave stone is set in a sand/ABC sub base which makes it the best deck in expansive soil areas and provides better drainage in a the backyard than a poured deck. The testing we have done has found Artistic Stone to be the coolest temperature deck on the market. The product is so durable that we at California Pools provide a 10 year warranty with the product! These are all great attributes but are not how we found the Artistic. We came upon Artistic Stone while we were looking for a new deck product that would hold up over time to the chemically treated water in our pools, specifically salt sanitations. Artistic Stone is a paver stone that tests out to 10,000 PSI (Pounds per Square Inch), which make it far and away the strongest pave stone on the market. You must be thinking there’s a catch? The cost? Here’s the deal, the product can be designed into a yard where it can be at or very near the same cost as Acrylic decking. Most of the additional cost is in the labor intensive install of the bull nose coping or the building of retaining walls for raised deck areas. The great thing for the consumer is we are currently at a 10-15 year low in labor costs. This is what has dropped the price and provided such a great value to the consumer. We take our mission statement very seriously, “Our goal is a satisfied customer who will refer their neighbors, friends, and family”. We know the products we provide will bring you many years of enjoyment, laughs and quality time in your backyard living area. Artistic Stone is but one of the many products we offer to our clients. Please contact us at……. 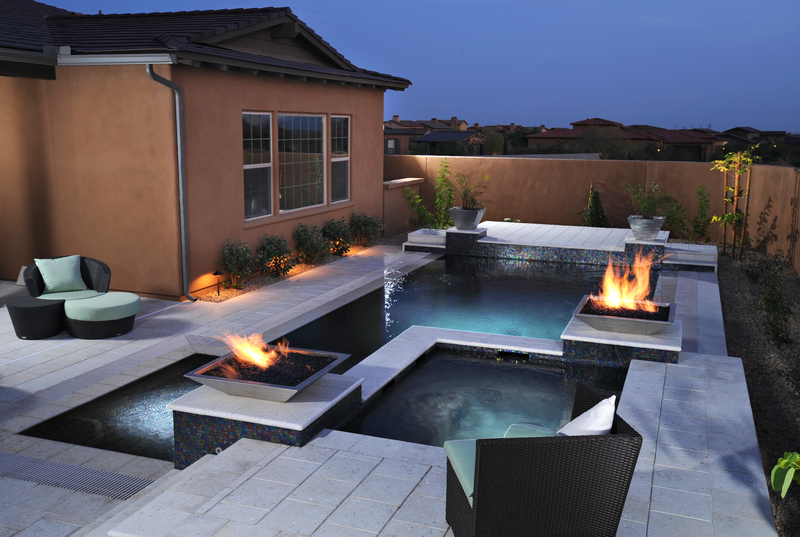 to get a free in home estimate on how California Pools can help create your outdoor living area retreat. 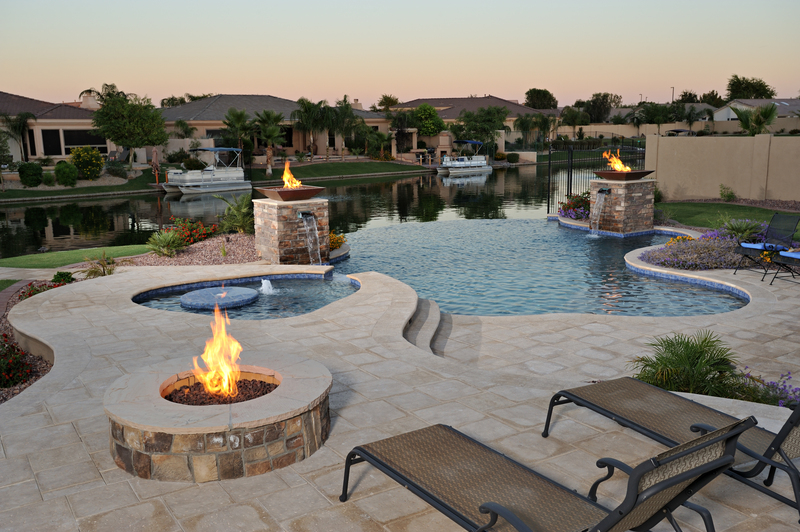 Stay in touch with our blogs to get the latest information on the products and goings on within the Arizona pool industry.